Have you open an account (PTPTN) for your child 'education fund'? SSPN stands for Skim Simpanan Pendidikan National. 5 commons way to fund your child(ren) education. However, the new scheme has a surprise element - the 'takaful' element THAT you are 'forced' to buy insurance (in Bahasa, Sumbangan Takaful) which is relatively 'expensive' but it is still a good plan for those can't afford a conventional medical plan, or life insurance, yet want to provide a saving for their child(ren) education. Based on my personal experience, the effective rate of return for past 10 years is merely ~3.75% p.a. Tax relief, which may be 28% for those having chargeable income of RM1,000,000 and above OR 21% for hose having chargeable income of RM70,000 and above, which is still substantial for first year of contribution. Disadvantage of PTPTN saving (i.e. SSPN)?? SSPN-i required contribution for insurance element, which you may not need (or aware...). The benefits is not provided to you FREE, you pay for it. Tried to open an account for 2nd child but server down. 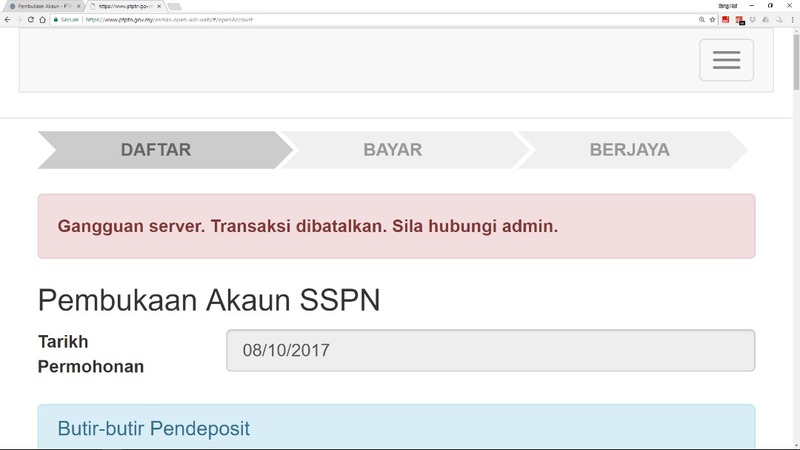 You may try it here to open SSPN-i account online, save for Tax Relief before 31.12.2017. 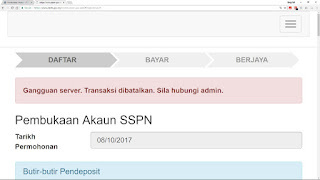 To check SSPN account balance, click here.